October 31, 2011 at 5:33 pm. 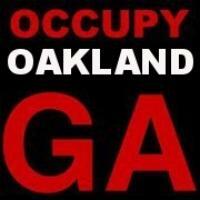 On Friday, October 28, 2011, a letter from the mayor of Oakland was circulated that apologized for police repression of Occupy Oakland and declared support for the upcoming general strike. And much more. A website that was an exact replica of the official Oakland city site went up and had the prank as the top story. This website has now been forced down, so the text of the prank is provided below. This prank was done to provide a strong focus on the most important questions about the general strike, and about this movement of the 99%. It used the tactics of the Yes Men, and the ideas of the Surrealists and Situationists. The latter had the most lucid take on what it means to overturn this system – a system that is clearly not working for us – on a grand historical scale. But also on what that means in terms of our everyday lives, on the deepest levels of our mental and physical habits, including the unshackling of our imaginations. If we continue to have enough imagination to see that we could not need the police to protect us, that we can abolish politics and economics as we know them, that we can restore vast areas to wild nature, make reparations to indigenous peoples, and create a life of ease, gaiety and pleasure for all, we will soon have a revolutionary situation on our hands. 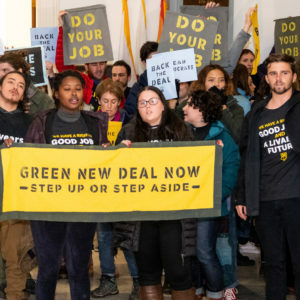 These are not “realistic demands.” They do not compute in terms of this outmoded and failing system, and its ideological framework that lives within us. This was the point of this prank: to give a jolt of vital courage to the imagination, to break the spell of consensus reality. The prank invites you to continue to imagine that we can not ONLY shut this city down, but take it over and run it in a wholly new way. These ideas are in the air now. Let’s take a deep breath. All power to the imagination! this, and I have had a change of heart. Holiday,” in which he called a month-long strike. I propose we do that! wealth to go around. We just have to share it. ease, gaeity and pleasure for all, as William Benbow originally suggested. wholly new way. Together we can make every day a holiday.